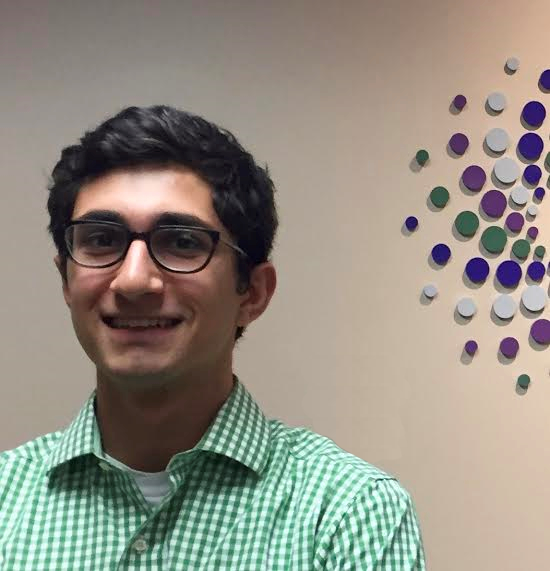 Ricky Mulvey is a rising junior at The Ohio State University where he is majoring in finance and minoring in Arabic. At Ohio State, Ricky is the vice president and a performer for the Buckeye Standup Comedy Club and is actively involved with his fraternity, Delta Tau Delta. This summer I am the media intern at Simply Money, a financial advisory firm located on Kemper Road. This opportunity would not have been possible without Careers Cincinnati (a joint initiative of Cincinnati Hillel and Hillel at Miami University). Every day I help write and produce their radio show, which can be heard weekdays on 55 KRC at 6 p.m. Occasionally I have also been appearing on it as “Ricky the Intern.” Being able to get on the show is probably my favorite part of the internship—going live with a microphone and knowing that thousands of people will be listening has been a fantastic, indescribable rush. The people I work with have been more welcoming and willing to help and include me than I hoped for. Also, I am helping create YouTube-only content for Simply Money. I don’t know any other internships where the interns not only have a say in projects, but are charged with leading some of them. But the biggest responsibility I have there is writing the outline of the radio show and presenting it to our on-air talent, Nathan Bachrach, Ed Finke, and Amy Wagner, every day. The experience has given me a great look in the worlds of media and finance, fields I am interested in pursuing after graduation. JVS Career Services and their exceptional career consultants helped me refine my resume prior to me being offered the internship with Simply Money. Next, Ethan Litvin at Careers Cincinnati worked to not just get me the internship, but one where I fit in well. He took the time to get to know me and did not stop helping when I turned down a few offers where I knew I would not thrive. A few days ago, my parents asked me how I liked my internship and I realized that I looked forward to going into work every day. I enjoy hearing stories from my boss, Darryl Parks, about his days leading WLW and getting financial insight from Ed and Nathan. Our Media and Promotions Coordinator, Dana Smith, has been an invaluable help for me. This summer I was put in the right place, and it was all because of the work of Careers Cincinnati and JVS Career Services. Do you want to learn more about the internship opportunities in Jewish Cincinnati? Visit cincyinternships.org. Have you ever wondered why some people move up in their careers, getting one promotion after another, or being recruited by other organizations? Their credentials don’t look any better than yours; in fact, you may even have better credentials. Moving up your career ladder requires more than simply doing well at your current role, but it’s not rocket science. First, you need to believe in yourself and get comfortable “tooting your own horn.” When you land that big new account or reduce the operating expenditures for your department, your leadership should know about it. Write an email to management praising the team that helped you achieve the accomplishment. For some, self-promotion isn’t easy or natural but modestly showcasing your own strengths and achievements may be the only way others see that you’re ready to advance and are capable of excelling in a promoted role. Act like you are in the position that you want to be in. I was in sales for many years, and at one point, I was ready to move into management. Touting my achievements as a salesperson wasn’t enough, because management is not about sales. Being a good salesperson could not demonstrate to management my skills as a leader. I started acting like a manager by being a mentor to other sales people and emulating what I watched other good leaders do. I also stayed out of any office politics. Management took notice, and when the next sales management position came open and I applied for it, I got the promotion. Don’t be afraid to speak up. If you are in a meeting, be an active participant. If you have an idea that will help your supervisor complete a project, speak up about it. Even if he or she doesn’t agree with your idea, this will showcase your leadership skills. If your supervisor likes your idea, be ready to help him or her execute it. Manage up, down, and sideways. If you have a problem, your manager should know about it, but don’t just bring the problem to your manager — have a solution to offer. If you see some potential issues with something you are working on, let your manager know early, and let him or her know how you will manage the issue. You never want your manager to be blindsided with a problem that has been going on for a while. Remember, he or she has to manage up, too. Additionally, communicate well with your team, be open to input, make it a priority to maintain good relationships with your peers. Present the right image. Dress like you’ve already been promoted. Look at what your management is wearing, and dress like them. Err on the side of professional when it comes to work attire. Dressing too casually or provocatively may draw attention, but not the type of attention that will get you a promotion. Promotions aren’t just for folks with good luck. The more you incorporate these strategies into your routine, the better prepared you will be for the next advancement opportunity. Hopefully that promotion will come soon! Joni Burton, CEO of JVS Career Services, is a seasoned Senior Management Executive with decades of experience in recruiting, staffing and management. In her role as CEO, Burton is focused on growing the agency and significantly expanding both types of services offered to job seekers and employers, and the number of clients served. You’ve heard of IQ, but did you know that EQ may be more valuable in a job search? Emotional intelligence, or EQ, refers to the non-cognitive skills that make us personally and socially more competent and successful. And—the good news is, you can learn how to build your EQ skill set! At 6:30 p.m. on Monday July 11, JVS Career Services will host Founder and President of EQ Coaching solutions, Lisa Kappesser, for an evening of networking, hors d’oeuvres, and EQ pointers at 3825 Edwards Road, Room 210 in Cincinnati. During the workshop, entitled “Use Emotional Intelligence to Land the Right Job,” Kappesser will provide attendees with the know-how to tap into, fine tune, and leverage their own emotional intelligence. Kappesser has worked with professionals at industry leading companies, such as Proctor and Gamble, Fifth Third Bank Corp., Coca Cola Enterprises, Kroger, Macy’s, and the University of Cincinnati, among others. She’s also developed emotional intelligence programs for businesses and organizations, and collaborated with The Carl H. Lindner College of Business Faculty to develop and implement a “Professionalism” course for undergraduate students. “This seminar is for everyone. Whether you’re just starting out on your career path, or you’re looking for a new opportunity, you’ll return to your job search with some valuable insights on a subject that’s rarely discussed, but can be incredibly impactful,” Burton said. 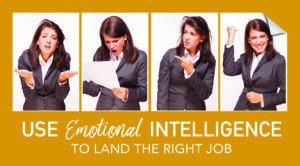 To RSVP for “Use Emotional Intelligence to Land the Right Job,” click here. “It’s never been a question ‘if’ a college education would happen in my family. It was always assumed that I was going to go to college,” explains 30-year-old Tamara Zmood. The critical question for her and her sister, who, along with their parents, immigrated to Cincinnati from the former Soviet Union, was how that college education would be funded. “Ever since my family immigrated to the United States, financially, it’s always been a challenge. And I knew going in, that wherever I decided to go to school, I would have to figure out how to pay for it myself,” she says. That conundrum, which always seemed a distant dilemma, became a concrete hurdle in May of 2004, when Tamara graduated from Kings High School and was staring down the expenses associated with attending the University of Cincinnati that fall. “My parents, bless their hearts, wanted me to have that authentic ‘living on campus’ experience, and they were able to take out a few loans to make that happen,” Tamara says. The rest was up to her. Fortunately, her mother had heard about the Hilb Scholarship. Offered by JVS Career Services, the Hilb Scholarship Fund is designed to help students overcome the financial challenges of a post secondary education. Over the course of the next ten years, Tamara was awarded $15,760 in five Hilb scholarships. Now that her bachelor’s degree in nursing is behind her, Tamara is hard at work earning her master’s degree to become a nurse anesthetist. She says the Hilb scholarships allow her to focus on what’s most important. 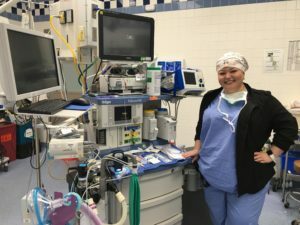 While Tamara has been busy supporting her patients, she says JVS Career Services has been there to support her, in scholarships, and beyond. 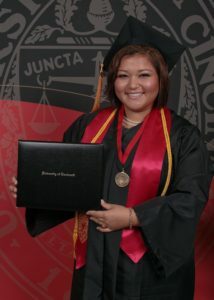 Tamara is on track to graduate with her masters in December. 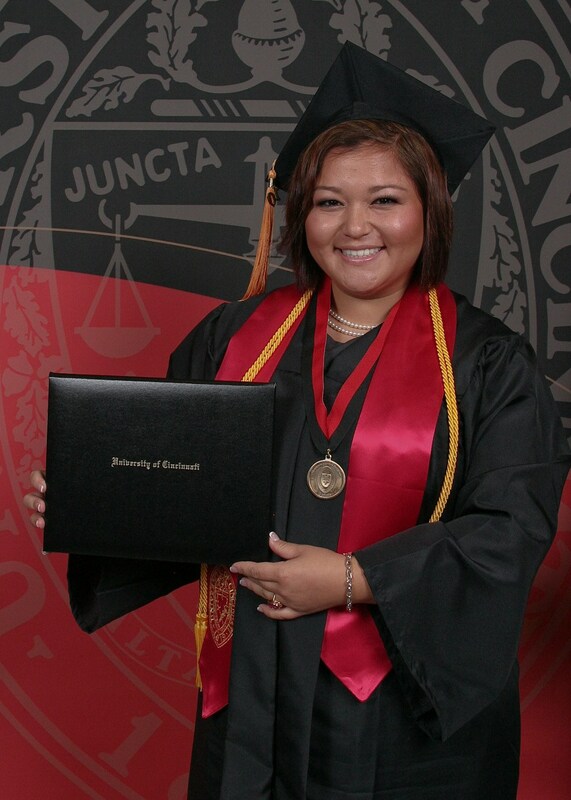 Once she has her degree, she’ll set her sights on her next goal: giving back. She’s talking, of course, about her education. Her future as a nurse. It’s what her parents wanted for their children. It’s why they left the former Soviet Union, in search of a better life.